Diaspora Dialogues, created by Koshie Mills, is a platform and a movement designed to break down barriers and bridge the gap between Continental Africans and Africans in the Diaspora. The platform will allow Africans to engage in a series of intimate conversations via talk show format television, events, public forums, and discussions with entertainers, Influencers, tastemakers, local heroes, and change agents. “The reason why I started the Diaspora Dialogues is because I was born in Africa, I went to school in England and came [to the United States] for schooling and I realized that there’s a disconnect between us as Africans and African-Americans.” The Diaspora Dialogues facilitates cultural exchange for the purpose of uniting the global descendants of Africa to sustain future generations. Koshie was a registered nurse for 19 years before she decided to help her sons get their footing in the entertainment industry.“[God] gave me a vision, He showed me and asked if I trusted Him. Because I have a good relationship with Him, I trusted him.” Koshie made a huge decision that forced her to be uncomfortable and face her fears, but ultimately live within her purpose. In result, International Women of Power Luncheon was created. Diaspora Dialogue hosted their 2nd Annual International Women Of Power Luncheon on March 9th in Los Angeles. 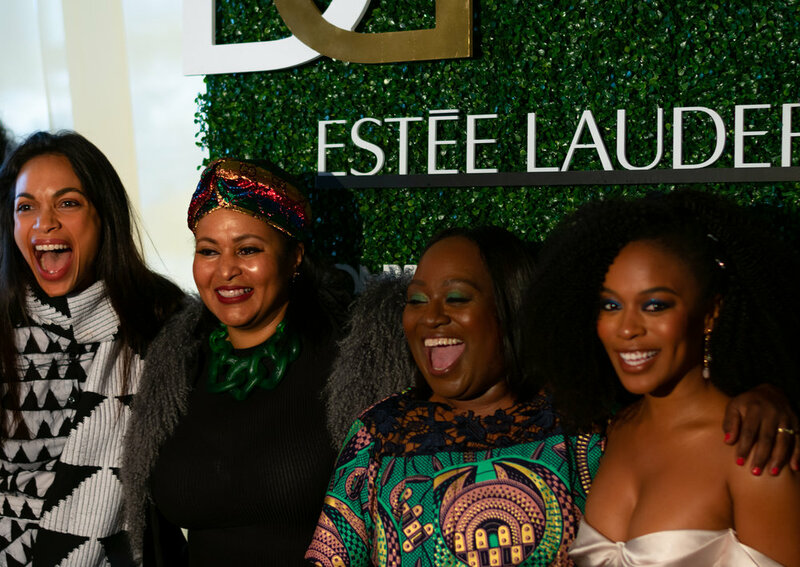 The event featured some glamorous stars and an overwhelming community response which further emphasized Koshie’s intentions to cross pollinate African women from Africa with African-American women in the Diaspora. Notable women—from all industries—came from all over. Africa, the West Indies, the UK, and America were all represented. Honorees include; actress and comedian Tiffany Haddish, activist Abrima Erwiah, First Lady of Sierra Leone H.E. 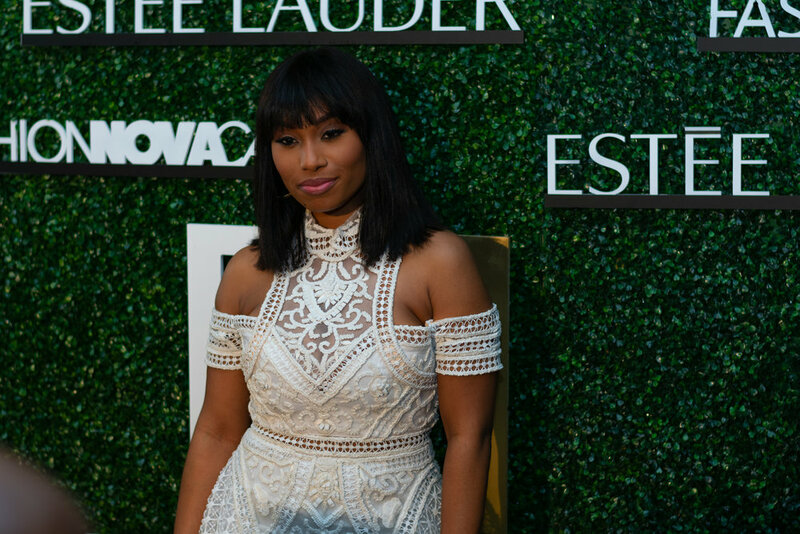 Fatima Maada Bio, fashion influencer and actress Ryan Destiny, and many more. The luncheon was hosted by actress Wendy Raquel Robinson and she was nothing short of perfect. There was a musical performance by artist and actress V. Bozeman. This year, the organization supported the Jenesse Center Inc. and CEO Karen Earl delivered a moving speech highlighting their mission to provide victims of domestic violence support with awareness and resources. Koshie says that in the future, Diaspora Dialogue will be a massive movement that creates unity for global descendants of Africa. Diaspora Dialogue is a healing process for those of the African diaspora. “We’re not [using a] band aid,” she said, “we’re [moving forward] with love, empathy, and compassion”. Koshie wants to use Diaspora Dialogue as a vehicle to drive raw and honest conversations and to initiate a future with solidarity and camaraderie between the Diaspora, “Watch out world! Black people are coming together. It’s not a threat, but it’s a promise”.